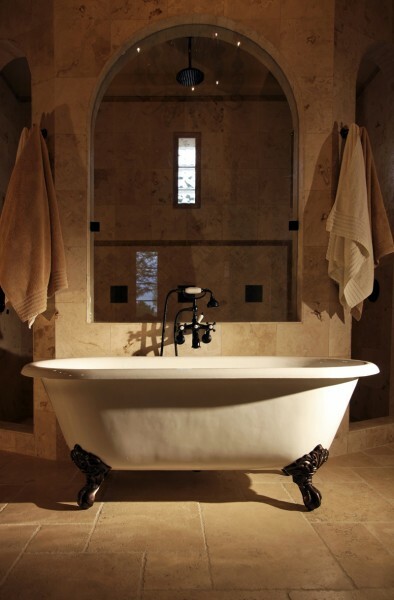 No One Does Cast Iron Baths Better!! 23k Goldleaf Feet & Copper Feet Leafed Call for Details! NOTE: TUD08 & TUD02 Are substitutes for the Bath Shower Mixer! By opting for this we do not send you The Bath Shower Mixer! This process varies in the amount of time it takes to complete due to the size of the bath and thickness of the enamel. The bath is then (ground coated) this is like an undercoat which is sprayed on to the bath and force dried before being placed into the furnace for its first of approximately four firings at a temperature in excess of 800 degrees Celsius. After 45-60 minutes, the bath is taken out of the furnace and allowed to cool. Then it is stoned down to try and smooth the surface of the newly fired ground coat so it is ready for its first of 3-4 applications of (cover coat) this is the actual enamel that when fired in the furnace it gives you the white shiny surface.